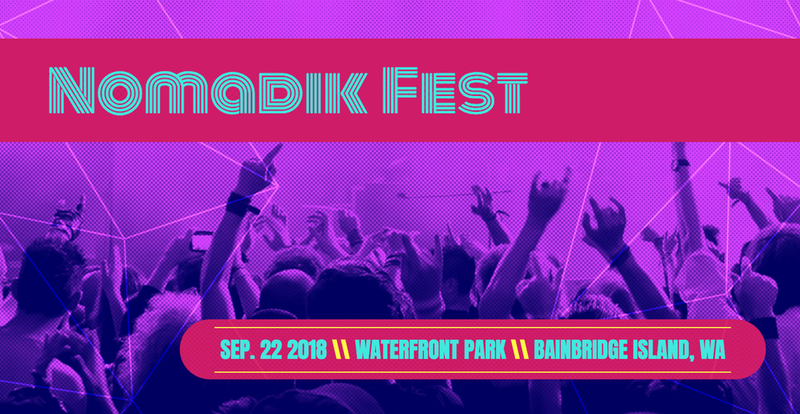 Super stoked to be DJ'ing my first music festival, Nomadik Fest! Saturday September 22nd, 12:00 - 9:00 PM. All ages, with an eclectic mix of bands and DJs playing music non-stop, with a beer/wine garden and food trucks. It benefits a local charity, Arms Around Bainbridge. Confirmed Main Stage Bands include: Pickled Okra, Todd and the Toots, hERON, Strawberry Mountain, Terror / Cactus, High Step Society and Ceschi. DJ Stage lineup includes DJ Zone (Macklemore / Aesop Rock DJ), Seamore (Cliff Barnes), I AM HALO, Shane Knode (poet), DJ Sidecar, Noisyboy and Emcee Julie-C.
Hope to see you there. Get tickets here!